. 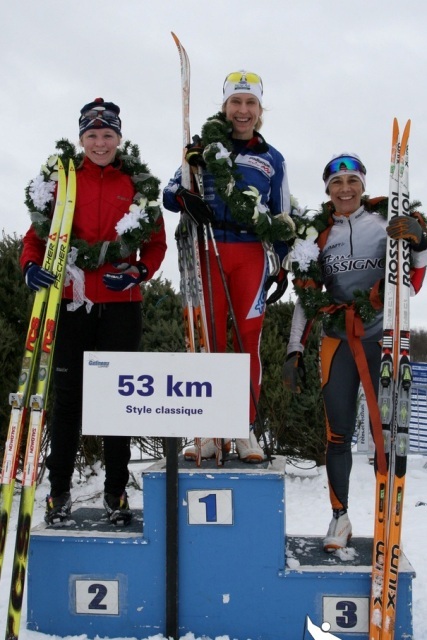 : Race Report: The Gatineau Loppet 49 km Classic :: Ski XCOttawa.ca :: Skiing in Ottawa and Gatineau Park :. 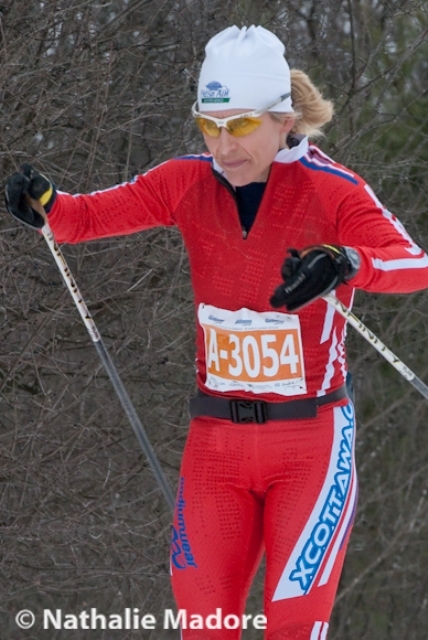 I have raced the Classic Gatineau loppet three times. This year I was extra excited as I now live in Ottawa so had a home town advantage of knowing the trails and sleeping in my own bed. Sheila and I were representing XC Ottawa on the Classic day. This was my third time doing the 53 km classic race and it was Sheila’s first. The team got up Friday morning and did some testing at P5 and chose our glide and made several guesses at grip for the next day. Waxing for grip for a long race like the Gatineau loppet is always tough as not only does the wax have to stay on your skis but the conditions can change a lot over three hours and 49 km. So the day of the loppet we were excited and armed with e-load and wax that we hoped would last through the whole 49 km. Our wax stayed on thanks to a thin layer of Vauhti Superbinder. Our choice of the new Vauhti K-line wax series was a good one - every time we test, these grip waxes have more grip, better glide, and don't tend to ice up as much as other waxes. They also tend have quite a broad temperature range and work in a wide range of conditions. We got to the race site with the Superbinder on our skis covered with a couple of layers of K18 (orange), and on top of that a couple of layers (shorter pocket) of K15 (violet). Because that wasn't providing quite enough grip we added K12 (silver), and covered this with K15 to reduce the chances of icing. The race clearly was excellent for Sheila; she won and whenever I saw her in the race she was in the mix with the second pack of chase men! I tried to give her some exhausted cheers on the out and back sections and she always flashed me a comfortable smile. For myself, I started a bit too quickly but soon found my pace and with only a seven km bonk in the middle I had a great race getting both my goals of top 5 and under 3:30. The race caliber, I think, was increased this year in both the classic and skate by having ranking in the A wave and a lovely sum at the end. The race was really well run and considering the lack of snow this winter, the revised course worked out great. Sheila (Photo courtesy of Nathalie Madore). Race Report: Silver Star Update: Final night race a success!